El partido izquierdista logra el 35,5% de los votos según el recuento del 90%. Alexis Tsipras y su formación, Syriza, lograron ayer una clara victoria en las elecciones anticipadas convocadas en Grecia después de la firma del tercer rescate con los acreedores europeos y la ruptura del partido. La formación izquierdista, que logró una clara mayoría con más del 70% de los votos escrutados, reeditará su coalición de Gobierno con la derecha nacionalista de Griegos Independientes (ANEL). El partido de Alexis Tsipras logra el 35,5% de los votos (145 escaños), mientras los conservadores de Nueva Democracia se situaban en torno al 28%. La ultraderecha revalidó su tercer puesto con un leve aumento de apoyos, mientras quedó fuera del Parlamento Unidad Popular, la escisión de Syriza tras la firma del rescate. Criticism of Germany’s role in the recent negotiations over Greece’s future has been fierce. 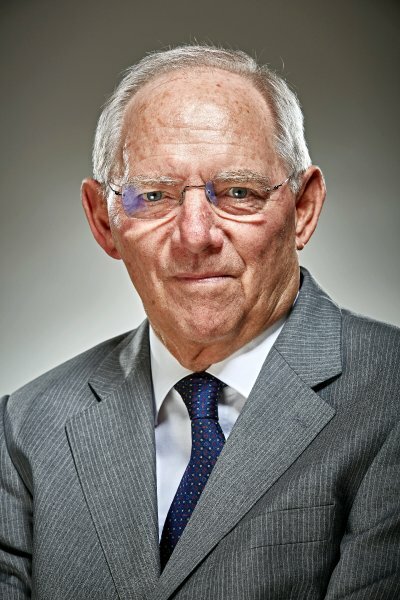 SPIEGEL speaks with Finance Minister Wolfgang Schäuble about the government in Athens, his own feelings about a Grexit and his relationship with Chancellor Merkel. SPIEGEL: Europe intends to solve the problem with a new loan package worth more than €80 billion ($87 billion). Is that the right answer? Schäuble: A half a year ago, Greece was preparing to return to the capital markets. Today, the country’s economy lies in ruins. That is the Greek government’s responsibility. But we cannot abandon the people of Greece. That is why a new program was needed, even if means new hardships for the population. More than anything, though, the question is: What is the better solution for Europe? 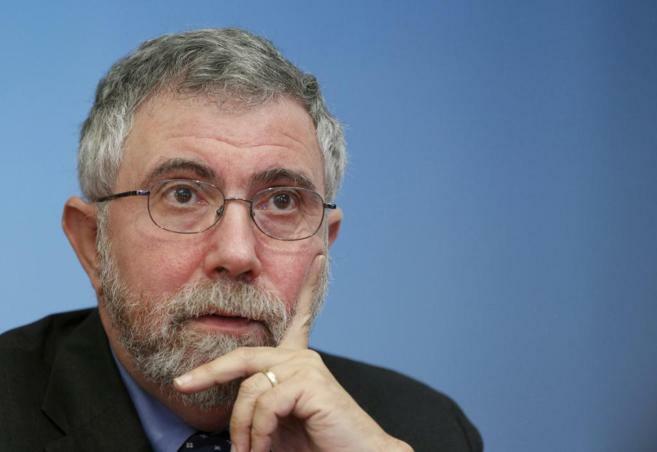 SPIEGEL: The American economist Paul Krugman has a clear position on that. The new aid program for Greece, he wrote in a recent column in the New York Times, is “pure vindictiveness” and a “complete destruction of national sovereignty.” Do you share his view? SPIEGEL: Italy and France, though, are founding members of the European Union. Shouldn’t Germany pay particularly close attention to pursuing a common position with these countries? Schäuble: It isn’t unusual for the positions of France and Germany to not be completely consistent. It is also sometimes the case that my wife and I aren’t entirely of the same opinion. We aren’t even married to France, but Germany and France nevertheless overcame their differences in the end. Without Germany and France, it doesn’t work. That is what matters. SPIEGEL: Chancellor Angela Merkel’s coalition government also had a difficult time overcoming its differences. You have said that your paper was cleared with the Social Democrats (SPD), Merkel’s center-left coalition partner. But SPD head Sigmar Gabriel claims that he had been informed of the proposal, but did not agree with it. Who is right? Schäuble: There is no German dominance. Germany is in a good position economically, that is undeniable. But in contrast to France and Great Britain, Germany is not a member of the United Nations Security Council. For that reason alone, you cannot talk about being in a position of political supremacy. Still, the balance in Europe has shifted since the fall of the Iron Curtain. Baltic countries, Slovakia and Slovenia also now speak up when they don’t like the positions taken by others. 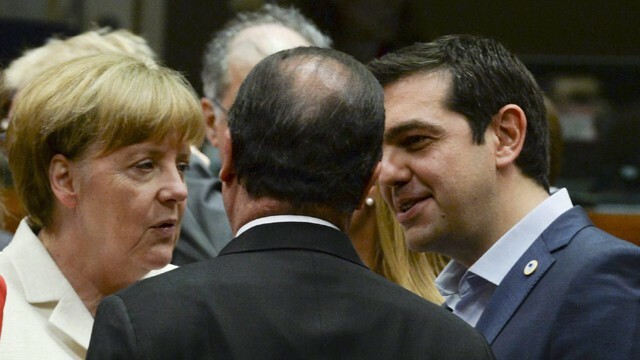 SPIEGEL: You mean, there is a new division in the euro zone — between the north and the south. SPIEGEL: The new program for Greece calls for the Athens government to adhere to its creditors’ demands down to the last comma in the coming years and for it to be closely monitored from abroad. Is Greece becoming a euro-zone protectorate? Schäuble: No. For the most part, the elements of the new program were agreed to back in 2010. They were just never implemented, unfortunately. Thus far, the Greek economy and society have hardly developed in the desired direction. What has dramatically changed since the beginning of the year, however, is the need for additional financing. According to the most conservative estimates, that need is now at least €80 billion. For many people, that is an unimaginable sum. 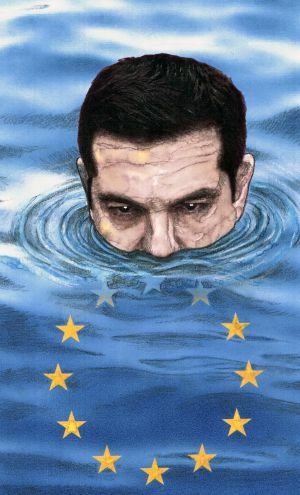 SPIEGEL: Some €50 billion of that is to be generated via the privatization of assets owned by the Greek state, by way of a trust fund that will be supervised by the euro zone. Many in Greece see that as yet another attempt to turn the country into a kind of colony. Schäuble: That is nonsense. The idea was that of finding some way to establish a broad foundation for the financing of a future program. When we talked about it on Sunday evening, I told Greek Finance Minister Euclid Tsakalotos: It’s not about hurting you, but about collecting the necessary financial means. Otherwise, the debt load is unsustainable. And without that, it won’t work. SPIEGEL: Tsakalotos’ predecessor, the enigmatic economics professor Yanis Varoufakis, had a different theory. 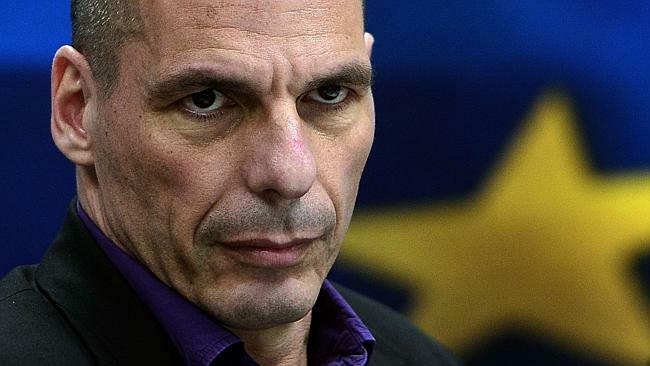 He claimed that you have wanted for months to push Greece out of the euro zone so as to set an example. Is there something to that? Schäuble: No. But I can’t just focus on making it through a night of negotiations. It also isn’t enough to get past the next six weeks. The real question is: How can I find a solution that is sustainable in the long term. We have to protect and further solidify the foundation of the currency union. My grandmother used to say: Benevolence comes before dissoluteness. There is a kind of generosity that can rapidly produce the opposite of what is intended. Schäuble: It’s about balance. At home, we were three brothers, and when we fought, my father always said that the stronger one should back down. And that’s how it was in the Greece negotiations. The one in the better position must try to help the weaker one. I tried to do that. SPIEGEL: Can a program work even though Prime Minister Alexis Tsipras says he doesn’t believe in it? Schäuble: That is the question. Previously, Tsipras rejected a similar program and then he campaigned for a “no” in the referendum, a position that a large majority supported. Now he wants to do the opposite of what he once supported. One can indeed be doubtful. 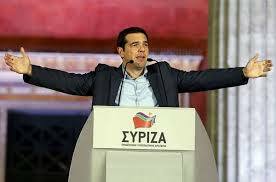 But for now, I trust the assurances of Mr. Tsipras, as is only fair. He has promised to implement the program even though he doesn’t believe in it. So, we’ll see. 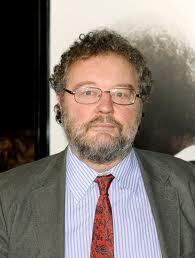 SPIEGEL: The new program has tightened the conditions. Pensions are to be reformed, taxes increased and the labor market liberalized. Why do you think that the medicine that hasn’t worked for five years will now suddenly help? Schäuble: The problem is that for the last five years the medicine has not been taken as prescribed. That’s why it is now important that those measures agreed to long ago are now implemented. In December, the troika made clear that Greece still hasn’t tackled 15 important reforms. That must finally change. 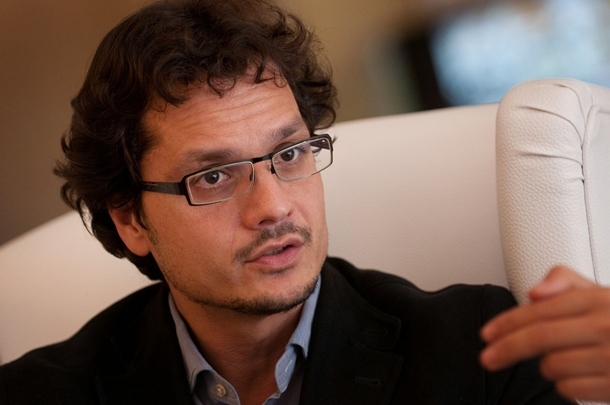 SPIEGEL: Could it be that you don’t actually believe that the reforms will be implemented? Schäuble: No, otherwise we wouldn’t have had to travel to Brussels. But that is exactly the reason why we need those controls of which you earlier said they would patronize the Greek people. Schäuble: I am not claiming that everything is easy, but you have to start with the restructuring and carry it through to the end. Those countries did that. Since the 1990s, Baltic countries and countries in Central Europe have also been remarkably successful. We in the euro zone are on a real path to success, and it is much more sustainable than it is, for example, in many developing economies. The decision-making process in Europe is much more complicated than it is in any nation state, yet the euro zone — aside from Greece — is in much better shape than many countries that sometimes wrinkle their noses at us. Schäuble: No, it doesn’t. It does, however, show that European unity is never easy. It is true that Europe is cumbersome, bureaucratic and complicated. I hear that all the time, particularly in America. I respond by asking the critics whether they have a better idea for bringing together 28 countries that fought against each other for centuries. But they never have an answer. SPIEGEL: The debate over Greece’s debt load has been continuing for five years now. But policymakers seem not to have taken a single step closer to a solution. What conclusions do you draw from that? Schäuble: We have to again generate more faith in the euro — not just on the financial markets, but also among the populace. We also have to strengthen regulations pertaining to healthy state finances and ensure that they are adhered to. To do so, we must change the European treaties in the medium term, which is difficult. Many shy away from doing so because they are afraid that further steps toward integration would be rejected by their people or parliaments. Schäuble: Of course, but I am also aware that the experiences of recent years have not made it easier to advocate for more Europe. Still, I’m not giving up. I am a realist, which is why I am unable to assert that we can only save the euro if we amend the treaties. We may have to do without. What is essential is that rules are followed and enforced. But when we do that, then we are accused of establishing a protectorate or abolishing democracy. That is all nonsense. Schäuble: The chancellor and I do not engage in role-playing games. That isn’t the chancellor’s style nor is it mine. Everyone has their convictions. During the 1999 European election campaign, I was head of the Christian Democratic Union and Ms. Merkel was my general secretary. We had a poster showing both of us and it read: “Not always of the same opinion, but on the same path.” That’s how it has remained until today, even if our roles have changed. You don’t need to worry about it. Schäuble: Divergent opinions are a part of democracy. In such a case, you jointly hash out a solution. In that process, everyone has a role to play. 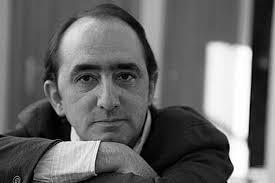 Angela Merkel is chancellor and I am the finance minister. Politicians’ responsibilities come from the offices they hold. Nobody can coerce them. If anyone were to try, I could go to the president and ask to be relieved of my duties. El 9 de julio, el primer ministro griego Alexis Tsipras, habló ante el Parlamento Europeo. El diputado español Esteban González Pons, del Partido Popular, le contestó. Poco después tomó la palabra otro español: Pablo Igleias, dirigente del partido PODEMOS, exhortanto a los socialistas europeos a unirse contra la “el totalitarismo financiero”. La estrategia de confrontación del primer ministro de Grecia le ha conducido al suicidio político. El acuerdo ofrecido a su país lo convierte en administrador de un protectorado de la eurozona. El acuerdo incluye la creación de un fondo de privatizaciones para recapitalizar los bancos y pagar la deuda. “Estamos listos para iniciar las negociaciones para el rescate. No habrá Grexit”. El presidente del Consejo Europeo, Donald Tusk, y el presidente de la Comisión Europea, Jean-Claude Juncker, han anunciado al filo de las nueve de la mañana, tras 17 horas de cumbre, un acuerdo con Grecia por unanimidad sobre el tercer rescate. El pacto abre la puerta a que el BCE mantenga la liquidez de emergencia a la banca griega. El jefe del Eurogrupo, Jeroen Dijsselbloem, ha explicado que Grecia aprobará leyes en las próximas 48 horas, endurecerá sus propuestas en pensiones, mercado laboral y otros asuntos, y finalmente acepta un fondo de privatizaciones, que permitirá recapitalizar los bancos y pagar la deuda. Europa debe aclarar aún cuál será exactamente la participación europea en la financiación puente, ante las graves dificultades del sector financiero griego con el corralito y la falta de fondos para pagar un vencimiento de deuda al BCE el día 20 de julio por importe de unos 3.500 millones de euros. Pero Dijsselbloem ha avanzado que se usará ese fondo, con los activos vendibles de Grecia, para obtener dinero de inmediato. Eso, siempre que el Parlamento griego legisle en los dos próximos días las medidas más inmediatas. El texto acordado esta mañana por los líderes de la eurozona es implacable con Grecia: comienza constatando “la necesidad crucial de reconstruir la confianza con las autoridades griegas” como requisito para cualquier rescate e impone durísimas condiciones para lograrlo. Entre ellas, una consulta previa con las instituciones europeas para cualquier ley que quiera aprobar Atenas “en áreas relevantes” y la necesidad incluso de revertir legislaciones ya aprobadas desde principios de año, a excepción de las vinculadas “a la crisis humanitaria” que vive el país. Europa no se fía y así lo deja claro en las siete páginas del compromiso rubricado este lunes, con múltiples cautelas para firmar el ansiado rescate. Una de las claves del acuerdo -y de las más difíciles para digerir por parte de Grecia- es el fondo de privatizaciones, que ascenderá a 50.000 millones y ha sido el motivo del retraso en el acuerdo. Incluirá todo tipo de activos, incluidos posiblemente los bancos. “Nada habría sido peor que humillar a Grecia esta noche”, ha dicho el presidente francés, François Hollande. Pero Berlín ha llegado a presionar con una salida de Grecia del euro si no había pacto. Y Atenas se ha visto forzada a aceptar ese fondo de privatizaciones, que nace cargado de polémica: no hay apenas precedentes en Europa, y supone una especie de aval que se exige a Grecia a cambio del tercer rescate. La titularidad del fondo será griega, pero estará supervisado por las instituciones europea. A cambio de esas formidables concesiones, la canciller Merkel ha asegurado que una vez que Grecia demuestre que cumple lo acordado habrá reestructuración de deuda: básicamente, una ampliación de los plazos de devolución. “En ningún caso habrá quitas”, ha dicho Merkel ante la prensa europea y tampoco reestructuración de deuda hasta el primer examen del rescate. La canciller Angela Merkel ha asegurado que Grecia “ha mostrado su disponibilidad a acometer recortes y reformas”. “Lo importante ahora es poner en marcha lo acordado rápidamente. Hay que recuperar la confianza y para ello Grecia tiene que hacer suyo el acuerdo”. Alemania ha apuntado que el FMI seguirá a bordo en el tercer rescate griego, y que Atenas se ha comprometido a activar cambios en el sistema de pensiones y el resto de medidas prioritarias. El Eurogrupo dará al mecanismo de rescate la señal para iniciar la negociación del rescate, y varios parlamentos nacionales, incluido el Bundestag, votarán entonces. “Grecia tiene una oportunidad de enderezarse. Y el acuerdo evita las consecuencias políticas que habría tenido la falta de resultados de la negociación”, ha asegurado ante la prensa el presidente del Consejo Europeo –representa a los Estados miembros-, Donald Tusk. “La Comisión Europea no ha dejado de insistir en que no habría Grexit; estamos satisfechos”, ha añadido el presidente de la Comisión, Jean-Claude Juncker, uno de los pocos defensores claros durante todo el proceso de la necesidad de pactar con Grecia. “Dije que la situación sería más difícil después del referéndum y se ha demostrado que es cierto. Pero lo alcanzado es un compromiso; no hay ganadores ni perdedores. No creo que los griegos se sientan humillados ni que los otros socios hayan perdido la fe. Es el típico compromiso europeo”, ha considerado Juncker. Don DeLillo define la política como “un asunto de hombres reunidos en cuartos”. Y sin embargo la pasada madrugada la política europea giró alrededor de una mujer, la canciller Angela Merkel, que llevó la voz cantante en una de las noches europeas más largas y dramáticas de los últimos tiempos. 17 horas de reunión después, Berlín selló un acuerdo que exige un altísimo precio a Atenas para seguir en el euro. El primer ministro Alexis Tsipras debe aprobar varias leyes en las próximas 48 horas. Se le reclaman medidas más duras en el mercado laboral, en las pensiones, en todos los asuntos que hace solo unos días eran líneas rojas infranqueables. Y los socios, sobre todo, instan a Grecia a crear un fondo bajo supervisión europea con los activos privatizables para, una vez se vendan, reducir la deuda, en una propuesta inédita que levantó una suerte de sentimiento de humillación en Atenas. Tsipras, además, no se librará de la presencia del FMI, que será parte también de este tercer rescate griego. Para suavizar todos estos reveses, Grecia obtiene dos medidas paliativas: la mención escrita, por primera vez en este proceso, a la reestructuración de la deuda y la inclusión de un paquete de 35.000 millones de euros para fomentar el crecimiento y el empleo a cuenta de la Comisión Europea durante los próximos tres o cinco años. En el alivio de deuda queda claro, en todo caso, que no habrá quitas, sino prolongación de los plazos de pago y periodos de gracia. A cambio, Grecia evita la salida del euro y obtiene luz verde para negociar los pormenores de un rescate por tres años y unos 50.000 millones de euros. Y evita la bancarrota de sus maltrechos bancos, que amenazaba con llevarse por delante al país entero y que, a la postre, se han convertido en el talón de Aquiles que ha obligado a Tsipras a capitular y aceptar mucho más castigo de lo que pensaba hace dos semanas. El Gobierno griego rompió hace poco dos semanas las negociaciones. Convocó y ganó un controvertido referéndum contra la propuesta europea de entonces. Se vio obligado a decretar un corralito y controles de capital ante la rápida huida de depósitos en sus bancos. Y, finalmente, apenas 15 días después de esa decisión, capitula y se ve obligado a aceptar condiciones mucho peores. Berlín se ha cobrado la afrenta que supuso el referéndum, unas negociaciones interminables y algunas declaraciones subidas de tono. Impuso exigencias mucho más duras de lo esperado, y llegó a incluir la posibilidad de una salida temporal de Grecia del euro, que acabó retirando cuando Tsipras se avino a pactar con los socios. A cambio, además de esos 50.000 millones en créditos baratos, se lleva la promesa del BCE de mantener con vida a los bancos, y un documento en el que Europa ofrece la ansiada reestructuración de deuda, a la vista de que a Grecia le es imposible pagar. El FMI seguirá a bordo. Y Grecia consigue metas fiscales más holgadas que en el anterior rescate, pero aun así se verá obligada a aprobar recortes adicionales a la vista de que la economía se ha parado en seco con el corralito: podría llegar a caer el 4% este año. Las necesidades financieras se han ido agrandando en los últimos días y ascienden a casi 90.000 millones de euros. Y la saga griega no ha acabado. En los dos próximos días, el Parlamento tendrá que legislar a través de decreto-ley las medidas prioritarias. Si eso ocurre, el miércoles el Eurogrupo dará un mandato al mecanismo de rescate (Mede) para acabar de negociar las condiciones del Memorando de Entendimiento del tercer rescate. Ese proceso, que suele durar en torno a dos meses, se comprimirá a apenas dos semanas, ante la situación de emergencia financiera en Grecia. Y aun así no está claro cómo Atenas podrá hacer frente a un pago de 3.500 millones del BCE el 20 de julio: los socios tienen que diseñar –probablemente hoy, en un nuevo Eurogrupo, el enésimo de esta semana— la financiación de emergencia para evitar un impago al Eurobanco. Medidas de simplificación del IVA, reducirá las pensiones y la independencia del de la Agenda Estadística Nacional. Reforma de su sistema judicial civil y la elaboración de las reglas de la unión monetaria sobre la refinanciación de las bancos y ayudas públicas. 1.) Grecia demandará una continuación de la ayuda, una prórroga, al FMI a partir de marzo de 2016. 2.) No habrá quita de la deuda griega. “Una quita en la deuda no puede producirse”, así de contundente se mostró unos de los ministros europeos presente en las reuniones de la Eurozona. 3.) Reforma profunda de las pensiones antes de octubre de 2015. 4.) Reformas de la actividad económica. Medidas sobre el mercado laboral en la linea con las legislación de los países de la Unión Europea. Reformas liberalizadoras del mercado con la apertura comercial de los domingos, periodos de rebajas, liberalizacion de las farmacias y comercio minorista. 5.) Privatización de la red eléctrica. 6.) Reforma de las reglas negociación colectiva. Centrados en el derecho de huelga y de los despidos colectivos. 7.) Fortalecer el sistema financiero. Control de los préstamos y mejora de la gobernanza , en particular eliminar cualquier interferencia política en el sistema financiero. 8.) Programa de privatización de 50.000 millones de euros. De los cuales las tres cuartas partes se utilizarán para recapitalizar los bancos del país y reducir la deuda. Reducción los costes de la función publica del estado. 9.) La aprobación de los acreedores. Antes de someter los textos al parlamento deberán asegurar de que los acreedores están de acuerdo con dichos documentos. 10.) Un eventual nuevo programa del Mecanismo Europeo de Estabilidad (Mede) que deberá integrar la aportación de un fondo de 10.000 a 25.000 millones de euros para los bancos. ¿Qué obtiene Grecia a cambio de estas concesiones ? El Eurogrupo “toma nota del posible programa de financiación” de “entre 82.000 y 86.000 millones de euros para Grecia”. De los cuales, explica literalmente, 7.000 son imprescindibles antes del 20 de julio y otros 5.000 millones más para mediados de agosto. La crisis de Grecia, que a la vez es una crisis de la Unión Europea, ha desatado debate en todo el mundo, sobre todo en Europa. En las próximas horas los líderes de los países de la Eurozona tienen que llegar a un acuerdo con el gobierno griego sobre el programa de rescate, y últimamente sobre la membresía de Grecia en el proyecto de integración europea. Hay voces que culpan al gobierno Tsipras de Grecia de las dificultades de llegar a una solución, otros responsabilizan a los líderes de los demás países europeos, sobre todo a la canciller alemena Angela Merkel y su ministro de finanzas Wolfgang Schäuble. Documentamos el debate. Opinan David Jiménez, director del periódico españal El Mundo; el analista británico John Carlin; el catedrático de filosofía política Daniel Innerarity, de España; el economista y columnista del New York Times Paul Krugman; el ex-ministro de finanzas del gabinete Tsipras Yanis Varoufakis; y el periódico El Mundo en su editorial del 13 de julio. Para oficios duros, el de recaudador de impuestos griego. Los enviados especiales de la prensa describen casos en los que los inspectores tienen que huir a la carrera perseguidos por la muchedumbre. Tan contraria es la cultura local a cumplir con el erario que a finales del año pasado los griegos debían al Estado más de 80.000 millones de euros en impuestos, suficiente para que nos hubiéramos ahorrado las últimas semanas de angustia y no estuviéramos hablando de un tercer rescate. Pero escuchando a su primer ministro, Alexis Tsipras, cualquiera diría que toda la culpa de lo que le pasa al país heleno la tiene Europa. de déficit para entrar en el euro. Bruselas ha cometido errores, y las crónicas de nuestra corresponsal Irene Hernández Velasco revelan hasta qué punto el pueblo griego ha sufrido las medidas de austeridad. 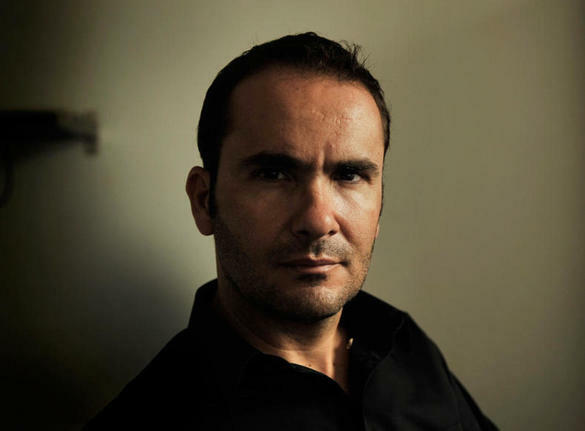 Pero como bien recordaba el escritor griego Petros Markaris, la responsabilidad de lo que le sucede a Grecia es, principalmente, de Grecia. No fue Angela Merkel la que manipuló las cifras de déficit para entrar en el euro. Ni la que creó en Atenas un modelo político corrupto y clientelar. Tampoco la responsable de que un peluquero griego pudiera retirarse a los 50 años con todos los beneficios, una de entre las 580 categorías profesionales «de riesgo» que lo permitían. Que países como Alemania estén también protegiendo sus intereses y los de sus bancos no contradice la certeza de que, sin su asistencia, Grecia no estaría hoy al borde del precipicio, sino cayendo en él. Aunque ya se nos ha olvidado, también nosotros tuvimos nuestro momento de delegación colectiva de responsabilidad cuando en 2012, en los peores momentos de la crisis, una parte importante de la sociedad, la prensa y la política señalaban también a Merkel con el dedo. Si en algo nos parecemos a los griegos es en que tampoco aquí la culpa es nunca nuestra. Hablamos de los políticos mediocres como si nos los hubieran elegido en Suecia, de la cultura del pelotazo como si no estuviera extendida en la calle y de la escena de un Senado vacío como si no fuéramos uno de los países del mundo desarrollado con mayor absentismo laboral, el doble que en Estados Unidos a pesar de tener mejores índices de salud. La imagen de esta semana de la Cámara Alta casi desierta en el arranque de un Pleno es muy representativa: todo el mundo sabe que su funcionamiento actual es inútil, pero no hay ningún interés en reformarlo, entre otras cosas porque se ha convertido en una agencia de colocación -PP y PSOE han incorporado ya a nueve ex presidentes de comunidades autónomas- para una clase política que siempre encuentra acomodo en las instituciones, sin importar cómo haya cumplido con sus deberes. Las carreras de nuestros políticos no caducan nunca porque no se sienten responsables ni ante las derrotas electorales ni por las fechorías cometidas bajo su supervisión -a menudo tampoco por las propias-, y mucho menos por las consecuencias de sus decisiones. Comparado con países como el Reino Unido, donde ocultar una infracción de tráfico puede llevar a un ministro a dimitir y a pasar una temporada en la cárcel, nuestros representantes viven en esa confortable irresponsabilidad que, en Grecia, ha encontrado a un nuevo exponente en Tsipras. Si el primer ministro griego tuviera algo de dignidad política, dimitiría tras haber tenido que ofrecer un plan de ajuste en el que asume más compromisos de los que le pedía Europa antes del corralito y el referéndum. El primer ministro pidió el no para fortalecer su posición negociadora y logró justo lo contrario, añadiendo penurias innecesarias a los griegos. Pero el verdadero drama de países sin cultura de la responsabilidad es que están condenados a repetir los errores del pasado. Porque, ¿qué razón tendrían para hacer las cosas de otra manera si todo lo malo que les ocurre es culpa de otros? Los griegos deberían redefinir su noción de orgullo patrio, retirarse voluntariamente de lo que se ha vuelto para ellos la tiranía del euro y buscar su propio destino. Sísifo, personaje de la mitología griega, pecó de orgullo y lo pagó caro. Por engañar a los dioses fue condenado a cargar una roca hasta la cima de una montaña pero, al cumplir su misión, la roca rodaba cuesta abajo al lugar donde empezó. Sísifo descendía la montaña, recogía la roca y otra vez para arriba. Siempre, y para siempre, con el mismo resultado. Hoy se repite la historia. Grecia es Sísifo. Los griegos engañaron a los dioses de la Unión Europea cuando falsificaron sus cuentas para poder cumplir los requisitos de admisión al euro; y Syriza, la coalición gobernante electa en enero, ha fracasado en su pretensión de negociar con los eurodioses como iguales. Ahora el pueblo griego se enfrenta a la condena de cargar la roca de sus deudas y sus errores per saecula saeculorum. 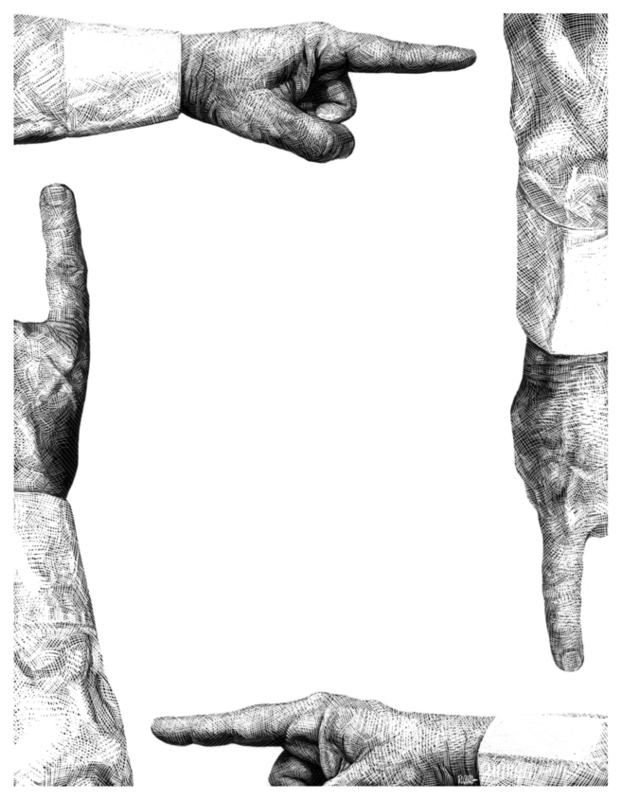 Ríos de tinta y algoritmos se han derramado en el intento de diagnosticar el problema pero pocos dan con el fondo humano de la cuestión. Se trata de algo tan eterno como sencillo, contado hace 2.500 años en las tragedias griegas. El héroe cae como resultado de un “fallo trágico”. En casi todos los casos el fallo trágico acaba siendo una variante del mismo tema, el orgullo que ciega al protagonista a sus propias limitaciones. Por falta de humildad y autoconocimiento excede las fronteras que el destino le ha impuesto, generando una espiral de calamidades que lo lleva a su destrucción. He aquí el fallo trágico que ha llevado a Grecia a la ruina. Los griegos, anclados en un orgullo ancestral, que poca relación tiene con la realidad moderna de su país, no han querido reconocer que simplemente no están capacitados para competir en el mismo terreno, obedeciendo las mismas reglas económicas de juego, que Alemania y Francia, o incluso España e Italia. Lo más parecido a un consenso entre los expertos que han participado en la gran polémica de los últimos meses es que la entrada de Grecia en el euro fue un error. No es ningún secreto por qué. Lo contó el autor estadounidense Michael Lewis en su bestseller mundial Boomerang: Viajes al nuevo tercer mundo europeo, publicado en 2011. El país menos europeo y más tercermundista que Lewis visitó fue Grecia. Lewis descubrió un país que festejó su incorporación al euro a principios de siglo, y su acceso a los créditos bancarios del norte, viviendo muy por encima de sus posibilidades. Siguieron con la antigua costumbre del soborno y la trampa para no pagar impuestos, recaudando para el Estado una ridícula proporción de lo que correspondía, pero en poco más de una década los salarios en el sector público griego se duplicaron —y eso en un país con dos veces más funcionarios estatales que el Reino Unido, cuya población es casi seis veces mayor—. El sistema de educación pública griego es uno de los peores de Europa pero a Lewis le asombró ver que empleaba más profesores por alumno que el finlandés, número uno en el ránking mundial. La edad de jubilación en Grecia era, y sigue siendo, 57 años (en muchos casos menos) mientras que en Alemania los jubilados no reciben sus pensiones estatales hasta los 67 años. Lewis cita en su libro a un exministro de finanzas, Stefanos Manos, que declaró una vez que tal era la ineficiencia, corrupción y exceso salarial en el sistema nacional de ferrocarriles que le resultaría más barato al Estado pagar para que todos los griegos viajaran en taxi. Hablé hace un par de años en Atenas con Stefanos Manos que se lamentaba del primitivismo cultural detrás del funcionamiento económico de su país. “Todo se maneja sobre favores personales”, dijo. “La gente sigue creyendo que puede atenerse a una sinecura y no hacer nada, para siempre”. Hoy la fiesta se acabó. Lo único que no han perdido los griegos es el orgullo. Lo decía la semana pasada Haridimos Tsoukas, un académico del Warwick Business School de Inglaterra: “Grecia es una nación orgullosa… Históricamente la nación griega deriva su autoestima, si no de Platón y de Aristóteles, de la batalla contra sus opresores”. Resistir es todo. Por eso, y por más ineficaces que hayan resultado ser las negociaciones del gobierno con los alemanes y demás divinidaes europeas, muchos griegos han celebrado las poses bravuconas de sus líderes electos frente a los “chantajistas”, “terroristas” e incluso “Nazis” que les exigen apegarse a las reglas de juego del mundo real. Por eso, optaron por un “no” rotundo a las medidas de austeridad impuestas por los dioses del norte en el referéndum del domingo pasado, medidas que el propio gobierno griego aceptaría prácticamente en su totalidad cuatro días después. El referéndum, cuyo resultado fue celebrado en las calles de Atenas como si Grecia hubiera ganado un Mundial, fue absurdo en cuanto a utilidad práctica. Tuvo valor únicamente como ejercicio de terapia colectiva para un pueblo pobre y humillado que no se reconcilia con la verdad de que, como decía el autor Eduardo Mendoza la semana pasada, “desde que murió Aristóteles no ha dado un palo al agua”. Fue tan inútil el gesto del referéndum como si Sísifo, al llegar a la cima de la montaña y ver la roca rodando hacia abajo, decidiera negar su impotencia y emitir un grito de rebeldía hacia los dioses —antes de darse media vuelta y rendirse una vez más a su inexorable destino—. Los griegos de hoy tienen, sin embargo, una opción que Sísifo no tuvo. Una segunda oportunidad. Pueden mirarse en el espejo, reconocer sus limitaciones, dejar de engañarse a sí mismos, aceptar quiénes son y entender que su lugar por naturaleza no es en los cielos de la eurozona sino solos, a su manera, en la agreste y noble tierra helena. Para el bien de ellos y de todos los europeos deberían redefinir su noción de orgullo patrio, retirarse voluntariamente de lo que se ha vuelto para ellos la tiranía del euro y buscar su propio destino en la independencia y la libertad. La situación de Grecia es una razón más para transformar la hegemonía económica de Alemania en liderazgo: es jugar a un juego diferente, con más responsabilidad hacia el conjunto de la Unión y con mecanismos de decisión más compartidos. El último libro del fallecido Ulrich Beck sostenía la tesis de que la crisis del euro había hecho realidad aquella “Europa alemana” de la que advertía Thomas Mann en 1953. Alemania no solo se ha beneficiado del nuevo orden europeo sino que se ha convertido de hecho en un poder hegemónico, sin nadie que haga de contrapeso y con una institucionalización débil que apenas equilibra ese poder. Se da la paradoja de que Alemania se ha convertido en un poder hegemónico pero al mismo tiempo no ha querido ejercer el liderazgo europeo que le correspondería. En la gestión de la crisis del euro Alemania es un actor central. Inicialmente reacia a comprometerse, dispuesta incluso a dejar caer a Grecia, una vez que comprendió que esta salida tendría grandes costes políticos y económicos, utilizó la crisis para reconfigurar una UE a imagen propia y ponerla al servicio de sus intereses económicos. Con el objetivo de fortalecer el control sobre los países deudores exigió en mayo de 2010 incluir al FMI tanto para las ayudas a Grecia como para la creación del Fondo de Estabilidad. Así se excluyó al Parlamento Europeo y se debilitó a la Comisión. Como es sabido, el Gobierno alemán se incorporó al fondo de rescate a condición de imponer una consolidación fiscal, un endurecimiento del pacto de estabilidad y crecimiento así como el compromiso de limitar el endeudamiento. Esta exigencia obedecía a un diagnóstico de la situación que es muy cuestionable. Berlín defendía que los intereses elevados se debían a los riesgos que planteaba un país y que sin la presión de los mercados financieros los países deudores no llevarían a cabo las reformas necesarias. Algunos estudios ponen de manifiesto, por el contrario, que una parte significativa de los diferenciales de los países periféricos de la eurozona en 2010-2011 no tenían relación con el incremento de la deuda y se debían más bien a sentimientos negativos en el mercado que actuaban como profecías autocumplidas y que se hicieron muy poderosos desde finales de 2010. Alemania no está entre los perdedores de la crisis del euro, sino que en cierto modo se ha beneficiado de ella. De entrada porque mucho de lo que se hizo para el rescate de Grecia, Portugal, Irlanda o España beneficiaba especialmente a los bancos alemanes. Alemania se beneficia por el hecho de que el aumento del precio de los créditos para los países con una mayor deuda viene acompañado de un abaratamiento de los costes de refinanciación de sus propios bonos. Detrás de estas divergencias hay una falta de acuerdo en torno a cómo entender las relaciones entre solidaridad y responsabilidad en la Unión. La política alemana contra la crisis, tal y como han repetido incansablemente Merkel y Schäuble, se ha basado en un principio muy simple: solidaridad a cambio de solidez. Los Estados deudores deben ganarse la solidaridad, lo que significa aumento de impuestos, reducción del sector público y reformas estructurales. Las autoridades alemanas están convencidas de que ciertas formas de solidaridad pueden implicar una pérdida de responsabilidad en los países ayudados. Ahora bien, estos esfuerzos no pueden hacerse a costa de arruinar un país. Los Estados en crisis tienen que aplicar ciertas reformas, pero las condiciones tienen que ser realistas. Todo ello dejando a un lado que las medidas de austeridad tienen también un límite de legitimación democrática. ¿Es excesiva la solidaridad alemana en la crisis del euro? Si consideramos los números absolutos, Alemania es con mucho el contribuyente más importante de la eurozona. Su aportación al Tratado de Estabilidad es muy elevada. Pero si ponemos en relación lo que costaron a Alemania las ayudas a Grecia y los fondos de rescate del euro con su capacidad económica, su crédito supone el 4,5% de su PIB (una parte menor de la que dedican a ello Malta, Estonia, Eslovaquia, España o Italia). Si queremos salir de este atolladero tenemos que pensar de otra manera la relación entre solidaridad y responsabilidad. La solidaridad implica relaciones de reciprocidad y puede estar vinculada a ciertas condiciones. Pero también es cierto que la solidaridad incluye siempre un elemento de interés propio bien entendido. Por eso me parece que es muy interesante la iniciativa del Gobierno de Portugal para la próxima Cumbre Europea que recomienda no hablar tanto de solidaridad como de responsabilidad común. Si los países deudores tienen que ser más responsables en su comportamiento económico, a Alemania le corresponde una mayor responsabilidad en la estabilización de la eurozona y sobre el conjunto de la Unión. Aquí es donde la diferencia entre hegemonía y liderazgo resulta fundamental. La función de liderazgo en Europa solo puede ejercerse si se está dispuesto a realizar una mayor transferencia de soberanía y a asumir una mayor responsabilidad respecto de la Comunidad Europea. La relación entre quien ejerce el liderazgo y quien lo acepta presupone una cierta comunidad de intereses, riesgos y valores, lo que no es el caso cuando se trata de una hegemonía. Las funciones de liderazgo en una comunidad implican también ciertas obligaciones y, tratándose de una comunidad tan compleja como la europea, solo puede llevarse a cabo de una manera coordinada. Alemania no ha tenido ninguna experiencia de liderazgo europeo o internacional y ese concepto está contaminado por su historia reciente. Pero 20 años después de la unificación, la posibilidad de que Alemania asuma una posición de liderazgo es considerada algo normal e incluso deseable. ¿Quién podría hacerlo si no? Es evidente que el eje franco-alemán ya no puede ejercer esa función. Francia no representa ese tipo de autoridad que Alemania reconoció en otro tiempo y se encuentra en una crisis política y económica con resultado incierto. Alemania no parece dispuesta a que su política europea sea conducida por la incertidumbre francesa. Lo que ahora tenemos en Europa es una situación de hegemonía que consiste en que Alemania ejerce un poder económico sobre el resto de los europeos como no había tenido desde la unificación, pero ha limitado este poder a la consecución de un interés a corto plazo. Alemania ha renunciado al tipo de liderazgo que se le reconocería si hubiera ejercido una forma de cooperación solidaria con la vista puesta en los posibles riesgos futuros de Europa. Si en el referéndum de Grecia hubiera ganado el sí, Alemania se habría cargado de razones para continuar con su cómoda hegemonía; la victoria del no —por paradójico que parezca— es una razón más para transformar esa hegemonía en liderazgo, lo que supone jugar a un juego diferente, con mayor responsabilidad hacia el conjunto de la Unión y con mecanismos de decisión más compartidos. 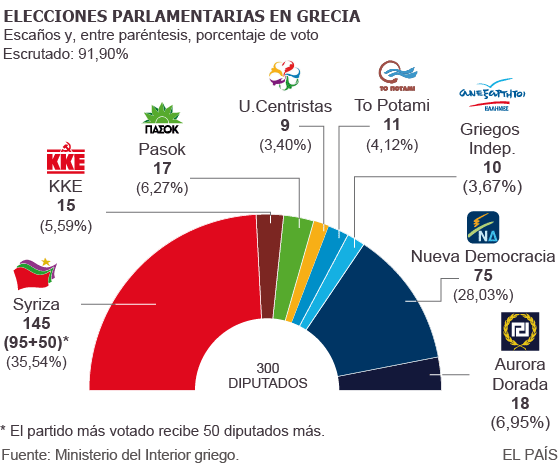 Esto no significa que Grecia haya ganado la partida, ni siquiera que haya mejorado su posición negociadora, pero tampoco Alemania gana nada con una estrategia que es igualmente electoralista, limitada al corto plazo y sin ninguna responsabilidad hacia lo común. Yanos Varoufakis, ministro de finanzas del gobierno griego. Renunció luego del referéndum. ‘By the time Syriza won power last January, a majority within the Eurogroup had adopted Grexit either as their preferred outcome or weapon of choice against our government’. Sólo un iluso podría pensar que lanzando un órdago a Europa, la pequeña Grecia lograría un tercer rescate con unas condiciones más ventajosas que los dos anteriores. Pero Alexis Tsipras, convencido de ello, decidió desafiar a sus socios del euro con su referéndum y este fin de semana ha probado lo amargo que es negociar cuando una de las dos partes desconfía profundamente de su interlocutor. La confianza se pierde muy rápido, pero cuesta mucho recuperarla.Y si hay algo que Grecia no tiene en estos momentos es tiempo. El Eurogrupo va a jugar con esta baza y pretende exigir a Atenas legislar las duras condiciones de su tercer rescate antes de firmar la ayuda. Pese a la dureza de esta propuesta, si se logra que salga adelante, Grecia tendrá motivos para celebrarlo. Asumir las condiciones del tercer rescate será doloroso para la sociedad griega, pero abandonar la zona euro sería mucho más traumático. Mientras, para el resto del euro un acuerdo también sería una gran noticia. Permitir que el país heleno abandone la moneda única sería un fracaso político imperdonable y una seria amenaza para la estabilidad de la Eurozona. Grexit (como llaman en el argot financiero a la salida de Grecia del euro)podría levantar una tormenta que salpicaría a las otras 18 economías que integran la divisa y en especial, a los países más vulnerables, como España. Con sus incoherencias y su estrategia esquizofrénica, Tsipras ha hecho un daño irreversible a sus compatriotas. Los hechos son elocuentes. Nada más llegar al poder, el primer ministro heleno decidió recurrir a la demagogia para reclamar a Alemania unas indemnizaciones por los daños sufridos por Grecia durante la ocupación nazi en la Segunda Guerra Mundial. No contento con esa provocación, el líder de Syriza empezó a coquetear con Putin en uno de los momentos más delicados para las relaciones entre Rusia y la UE por las secuelas de la crisis de Ucrania. Pero el despropósito de Atenas en este medio año no acaba ahí. La chulería con la que el ya ex ministro de Finanzas griego, Yanis Varoufakis, aterrizó en el Eurogrupo para negociar nuevas ayudas molestó a sus colegas europeos, a los que dejó plantados hace dos semanas, cuando se levantó de la mesa de negociaciones con un acuerdo mucho menos duro que el que ahora se plantea. No contento con el desplante, Tsipras decidió ir más allá y mantener la convocatoria de un referéndum que causó un profundo malestar en los países del euro a los que Varoufakis acusó de hacer «terrorismo» con Grecia en una entrevista publicada por EL MUNDO en la víspera de esa consulta. Con los bancos cerrados y la economía herida de muerte, el tono empleado por Tsipras en los últimos días no ha sido mucho más conciliador. El resultado de esa estrategia es una profunda desconfianza de Alemania y buena parte de los jefes de Estado y de Gobierno de la UE en el líder heleno. Si en el ámbito político el resbalón de Tsipras ha sido estrepitoso, en el económico ha sido aún peor. Dos semanas de corralito han hecho mella en la economía griega y han agigantado las necesidades financieras del país hasta los 86.000 millones de euros, frente a los 53.500 millones que se habían barajado inicialmente. Grecia está pidiendo a la Troika que le preste en tres años lo equivalente a la mitad de su PIB. Es lógico que sus acreedores, que ya han aportado ingentes cantidades de dinero y también deben responder ante sus opiniones públicas, no se fíen de Atenas. La situación es difícil. Pero por el bien de todos, es imprescindible acercar posturas y lograr un acuerdo que dé garantías a los países acreedores y cierto margen a Atenas para reflotar su economía. De otro modo, dentro de tres años seguiremos dando vueltas en el mismo callejón sin salida.